In 1957, the then Prime Minister Harold Macmillan told a meeting of fellow Conservatives that most of the country had ‘never had it so good’. 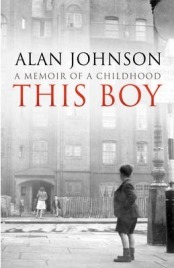 Alan Johnson’s moving autobiography This Boy describes life for a family that did not share in Britain’s widespread prosperity. The conditions in which the one time Labour Home Secretary grew up would have shocked many people even at the time: no electricity, damp rooms, a cooker on the landing, for a long time no living room, and emptying buckets of urine in the morning because it had been too cold to go outside to the toilet during the night. This is no tale of Victorian poverty and squalor – this is 1960s west London, the London of the notorious unscrupulous landlord Peter Rachman, of race riots and where violence was commonplace. 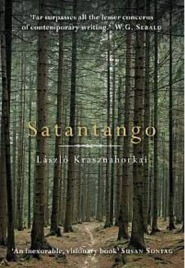 Simultaneously confusing and compelling, Laszlo Krasznahorkai’s 1985 novel Satantango, now translated by George Szirtes, is a dark and brooding story that will reward readers able to accept the lack of a concrete time and place to ground the story, and with the stamina to handle what is not so much a stream of consciousness, because this tale is too esoteric to be described as such, as a stream of richly layered description. Although my library is diverse, I tend to choose my reading matter based primarily on place, but also time; here the setting is clearly rural Hungary but the time is less clear and as I read I frequently allowed myself to become distracted as I tried to make sense of the fleeting details that might be a clue as to the time in which the story takes place. 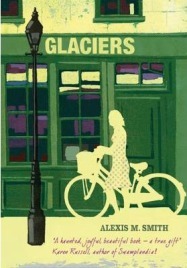 Glaciers is a strikingly visual novel – some might say novella, not just as this book is just 174 pages in paperback but because of the fleeting timescale of the story – and one that has certainly garnered plenty of positive attention, but it is also one that I think it would not be unfair to file under ‘promising but not quite there yet’. Alexis Smith’s poignant debut is notable for its pretty vignettes, scenes from a day in the life of a young woman living in contemporary Portland, in which evocative pictures are conjured up in just a few words. Sadly the weaknesses in the plot and in characterisation mean that Glaciers remains just a series of very pretty postcards and never amounts to something more worthy of Smith’s obvious ability. 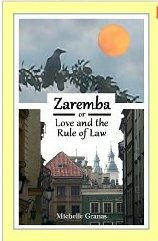 Usually I’d thank an author or publisher that had supplied me with a review copy of a book at the end of my review but I am so delighted to have read Michelle P. Granas’s Zaremba: or Love and the Rule of Law that feel compelled to offer my thanks immediately; had I not been offered a review copy, this little treasure would likely have passed me by. 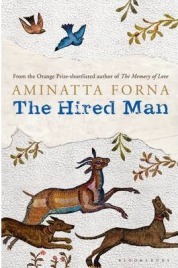 This quirky novel tells the story of Cordelia, a shy thirty-something who lives in a crumbling Warsaw villa with her elderly parents and her brother Antek. Physically disabled as a result of polio, Cordelia works from home as a translator but also cares full-time for her mother who suffers from dementia. Her father is a highly intelligent academic who has no practical skills to speak of and, during any crisis, tends to quote Shakespeare rather than offer any sensible advice or solution. On the eve of what would have been his 100th birthday, the three surviving children, and one grandchild, of Joschi Molnar meet up in the town of Weimar, not far from the site of the notorious Buchenwald concentration camp. They meet to celebrate the life of a man that none of them really knew except for what they’d heard from stories; the thing is, nobody tells quite the same story. The story begins, however, with an attempted suicide in a cheap railway hotel as Joschi is discovered unconscious by the owner who’d entered the room because Joschi had only paid for two hours, not knowing it would take longer than that to die. 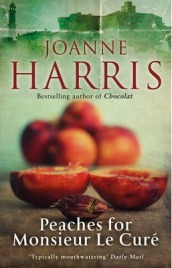 Peaches for Monsieur le Curé is the third in Joanne Harris’s series of novels featuring Vianne Rocher. It resumes Vianne’s story four years after readers left her and her partner Roux and her two daughters, Anouk and Rosette, living on a houseboat on the Seine in Paris (in ‘The Lollipop Shoes’) and eight years after she and Anouk left the village of Lansquenet-sur-Tannes. Having thought she’d never go back there, a letter from a (now dead) friend calls her back to Lansquenet. Someone is in trouble, the letter says, and needs Vianne’s help; that person would never ask for help himself. 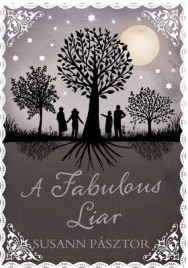 Leaving Roux behind, Vianne and the girls return to the village where Vianne had her pretty little chocolate shop; while outwardly nothing appears to have changed, there is something unsettling that Vianne can’t put her finger on. Like going out and having lovely things but don’t have the money to afford for them? As a triple dip recession looks to be on the cards, more and more of us are looking for ways to save money and bag a bargain. 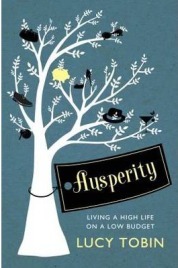 Lucy Tobin’s book Ausperity: Live the life you want for less is a handbook for the modern scrimper. In it Lucy offers practical tips, honest advice and boundless enthusiasm for the task in hand. Divided into obvious categories like holidays, clothing, food and drink, transport and utilities, it’s easy to find advice on specific areas, so if you’ve identified an area of your outgoings that is in particular need of being trimmed back, you can dip into the book and find what you want quickly. 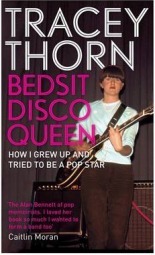 Tracey Thorn’s Bedsit Disco Queen (Subtitled: How I Grew up and Tried to be a Pop Star) is as much an analysis of the fickle and ever changing face of pop music from the 1970s onwards, as it is the author’s own honest, and often moving account, of her life first as a founding member of a vaguely successful but hugely influential all girl indie band, and then, with her partner Ben Watt, one half of the band Everything But the Girl. Although the pair had met some months before on the London music scene – both by this time were already enjoying minor success and critical acclaim – the couple got together musically and romantically in their first year at Hull University where, completely coincidentally, both were reading English literature. Reading crime fiction that’s set in your own home town or region can be a frustrating activity; instead of concentrating on the plot and characters, you can find yourself criticising the dialogue (‘No one round here would talk like that!’) or wondering how someone on foot could get from one local landmark to another in such a short time. This is one of the reasons I like to read foreign crime fiction, or novels that are set in fictional locations: I simply don’t want the distractions that come with reading fiction set on your own manor. 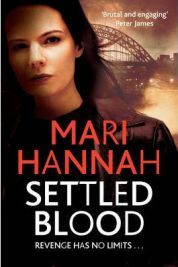 Against my better judgment I gave Mari Hannah’s Settled Blood a chance: I didn’t expect much having recently suffered the literary shambles of another piece of crime fiction set in the north east, Danielle Ramsay’s “Broken Silence”. The Observer’s Jay Rayner (you’ll also see him on BBC1’s The One Show talking about food matters) is not the only food writer to have dipped a spoon into the saucepan of fiction but on the evidence so far, he’s certainly the best (one might argue, on the basis of Prue Leith’s novel ‘The Choral Society’ that food critics should stay clear of the genre entirely). I loved his novel The Apologist and was keen to read more. 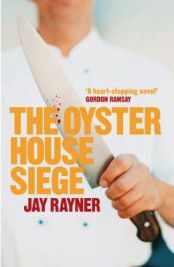 The Oyster House Siege sees Rayner take a darker turn, this time into thriller territory though a comparison with Jake Arnott in the cover blurb should be taken lightly because, for all the gruesome goings on in this story of a robbery gone wrong, this is a black comedy which occasionally brushes shoulders with the farcical. It can take the eyes of a foreigner to see what is special about a place; it’s true of Donna Leon’s Venice, Robert Wilson’s Seville and most definitely, Martin O’Brien’s Marseille, the setting for his series of novels featuring Inspector Daniel Jacquot. O’Brien captures the very essence of the hot south of France: the scents, the flavours and the landscapes. You can smell the garlic in a bowl of steaming bouillabaisse, the distinctive aroma of hot black coffee or the buttery whiff of a flaky croissant. 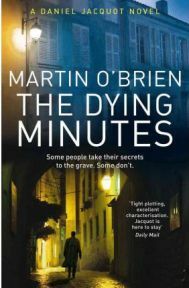 O’Brien shifts the action effortlessly between pretty inland villages where the scent of lavender fills the sultry air, Marseille’s harbour with its salt damaged facades and the opulent homes of the city’s gang leaders.